With the biggest population in the world, China also has the biggest educational system. Currently, more than 200 million people are receiving full time education in various schools and grade levels. A good education has always been highly valued in China, as the people believe that education ensures not only the future and development of the individual but also the family and the country as a whole. Chinese government has always been placing the education on its higher agenda, and has made significant progress in its education sector. 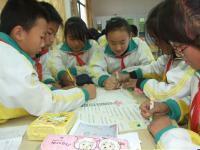 China's education system is similar to that of other countries around the world. Students face tests at every level of China's educational system, and only those who surmount these hurdles are granted the opportunity to pursue a higher level of education. Its education system is divided into the following categories: Pre-school, primary, secondary, higher education and adult education. Or kindergarten, can last up to three years, with children entering as early as age three, until age six, when they typically enter primary school. At present, the form of pre-school education varies a lot. In cities and towns, kindergartens are run by educational departments, government organs, enterprises, sub-district offices and individuals, with a 3-year period of schooling. In rural areas, towns and villages sponsor kindergartens with a 1-year period of schooling. The length of schooling for primary education is 6 years for children 6 years old. Primary schools are generally run by local government. Some are run by enterprises and individuals. The curriculum at the primary school stage includes ethics, Chinese, mathematics, English, nature study, history, geography, society, physical education, music, fine arts and labor. Secondary education includes common middle school and specialized secondary schools. Common middle school education consists of junior middle school and senior middle school. Lengths of schooling are both three years. Courses offered at general middle schools are Chinese, mathematics, foreign language, politics, history, geography, physics, chemistry, biology, physical education, music, fine arts, physiology and labor. Excellent students well developed morally, intellectually and physically will be awarded. Specialized secondary school education mainly consists of secondary technical schools, normal secondary schools and vocational schools. Lengths of schooling are 2 to 3 years, or 3 to 4 years. Courses at secondary technical schools and vocational schools include science, agriculture, forestry, hygiene, finance and economics, management, politics and law, art, teacher training, physical culture and tourism. Vocational schools mainly train skilled workers and technicians. Higher education at the undergraduate level includes two-and three-year junior colleges (sometimes also called short-cycle colleges, four-year colleges), and universities offering programs in both academic and vocational subjects. Many colleges and universities also offer graduate programs leading to the master's or Ph.D. degree. 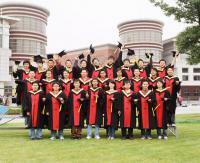 Chinese higher education at the undergraduate level is divided into three-year and four-year programs. The former is offered not only at short-cycle colleges, but frequently also at four-year colleges and universities. The latter is offered at four-year colleges and universities but do not always lead to the bachelor's degree. Myriad higher education opportunities also fall under the general category of adult education. Adult schools usually consist of the following: education radio and television universities, institutions of higher learning for workers and peasants, colleges for management personnel, education institutes, independent correspondence colleges, adult education offered by regular institutions of higher education (correspondence departments, evening universities, advanced training for teachers), TV education via satellite as well as the system of examinations for self-taught students at higher level. Elementary intermediate adult education can also be conducted in places like secondary professional training schools, adult middle schools, and technical schools for peasants, agricultural schools of radio and television as well as self-taught examination system at secondary level.